SCOTS rockers Biffy Clyro are offering you a piece of the action in the UK’s first immersive music video using virtual reality technology. The band have teamed up with tech giant Samsung to make a Virtual Reality video for their new track Flammable and you can take part in it during their gig for Glasgow Summer Sessions at Bellahouston Park on August 27. The video allows fans to be at the heart of an action packed, epic performance within a giant experiential structure, the specially-created “Hypercube”, which will also be at V, and Bestival. 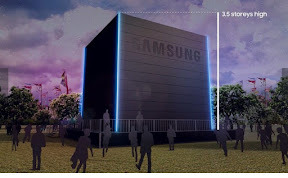 The three and a half storey high cube allows festivalgoers to feel so incredibly close, they will expect to feel the sweat flying off the trio as they step inside a moment of music history. 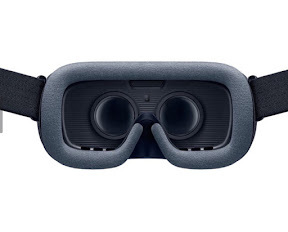 Samsung used the latest in VR technology, 360-degree cameras and the Galaxy S7 smartphone to create the ultimate audio-visual VR experience. It is a music video concept which has never been seen before in the UK. Once inside the Hypercube, up to 50 festival goers at a time can use the Samsung Gear VR headset and instantly find themselves beside frontman/guitarist Simon Neil and his bandmates James Johnston (bass) and drummer Ben Johnston, suspended in a Perspex box above an abandoned warehouse. As the band begins to play, viewers can experience the explosive buzz as the pyrotechnics and the laser lighting erupt around them and mercilessly target the box from all directions, complementing the rousing riffs and weighty lyrics of the song to get hearts racing and give users the ultimate all round experience. 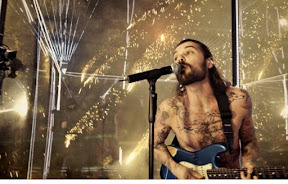 The Samsung Hypercube experience not only gives users an unprecedented first-hand experience of VR, but also gives them an exclusive look at Biffy Clyro’s new video. It is not due to launch publicly until later in the year.